The Mossy Oak Camo Double Stitch Belt from M&F Western™ offers a more outdoor style. 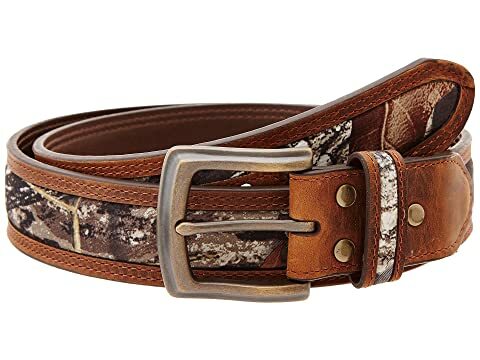 Strap features Mossy Oak Camo print and double stitching detail. Antiqued metal buckle with light distressing.